On May 8th, 2009, the ridiculously large family from TLC’s reality show, 18 Kids and Counting, the Duggars, were invited to ride in the 24th annual Dolly Parton Homecoming Parade in Pigeon Forge, Tennessee. 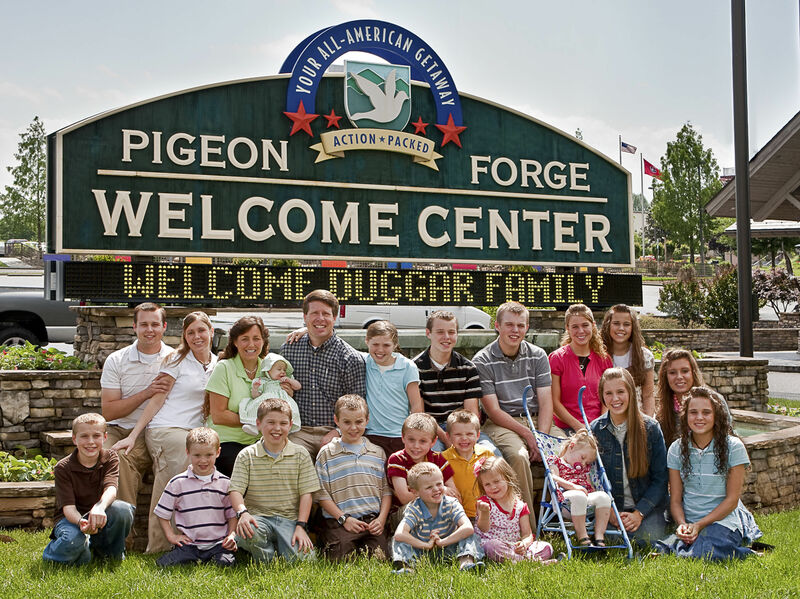 The Duggar family’s travels in Pigeon Forge will be taped for an upcoming summer episode of their show. The Pigeon Forge Mayor, Keith Whaley, invited the Duggar family to come to Pigeon Forge and the Great Smoky Mountains National Park to celebrate the park’s 75th anniversary. Pigeon Forge is home to the Dollywood theme park and Dolly Parton’s Dixie Stampede Dinner Attraction, celebrating its 20th anniversary. Dollywood, Dolly Parton’s unique theme park, stretches 125 acres into the foothills of the Great Smoky Mountains. It has rides for visitors of all ages who are looking for fun and excitement, including the award-winning roller coaster, Thunderhead. Located right outside Dollywood, the Dixie Stampede Dinner Attraction gives audiences entertainment and a four-course dinner together. Families will come and enjoy performers, horse feats, stunt riders, magic and audience participation. Tickets can be bought for $46.52 for adults and $24.52 for children 4-11. Children 3 and under are free if they sit in a parent’s lap and eat from their plate, but if you want them to have a seat and a meal then you have to pay the child’s price. For more information call 800/356-1676 or go to www.dixiestampede.com. Make sure to check out the “10 Ways to Save” section on Pigeon Forge’s official page for coupons and suggestions on free activities. To read more about the top family-welcoming activities in Pigeon Forge and Dollywood, check out FTF’s guide here. To find out more about Pigeon Forge and what it has to offer, call 800/251-9100 or go to www.mypigeonforge.com. To watch 18 and Counting with the Duggar family check out TLC on Tuesdays at 9pm.